We all have our own preconceptions on what a Middle Eastern restaurant should look like and the type of food they should serve. However, a visit to Sarona might make you reconsider what Middle Eastern cuisine is all about. On their website, they quite clearly highlight the fact, they are all about modernity and what present-day food is like from the region. 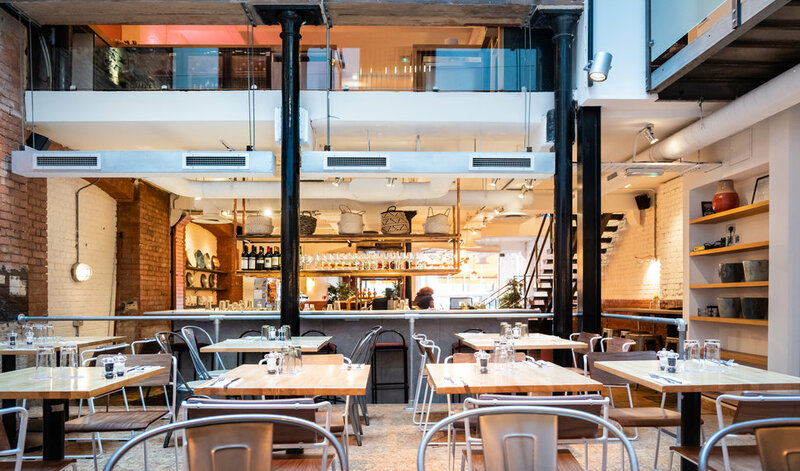 Apart from the odd hint of culture like some ornate plates and wicker baskets, the restaurant is remarkably very ‘London’ in its design with distressed walls and sharp spotlights focusing on the food. The menu is smartly divided up into sections like fresh, fried, comforting, charred and grilled and somehow this works better than the traditional starter and main course divide, as diners do genuinely walk in looking for dishes that are more refreshing or more hearty etc. Seabass sashimi isn’t a dish I would associate with the Middle East, but having been on a recent trip to Jerusalem, I can confirm it is an extremely popular dish with the modern day locals there. The dish was as fresh as any you will find in a Japanese or Peruvian restaurant and lightly flavoured with ajo Blanco, green chilli and basil. 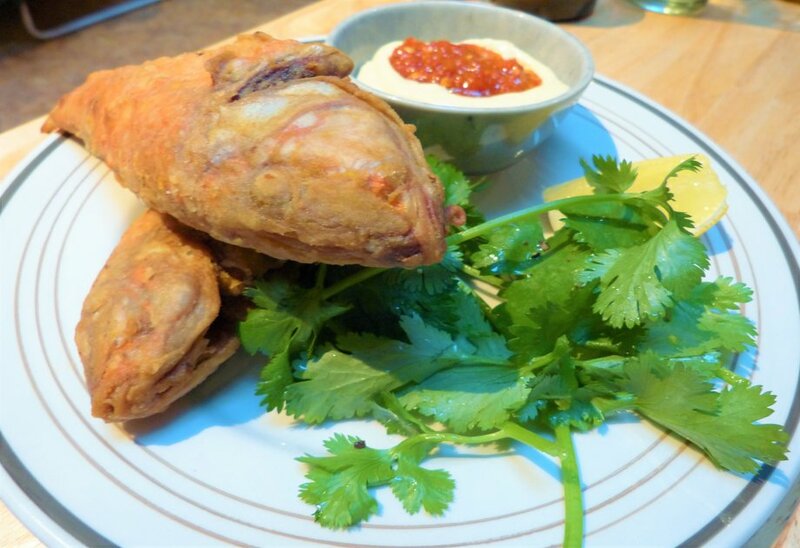 A dish that worked less well was their deep fried fresh market fish with spicy aioli and fresh coriander, as the version we got was incredibly bony with relatively little meat for your efforts. It is interesting to see online, this option has been changed to daily special from Smithfield Market, which makes more sense given their close proximity to the market. 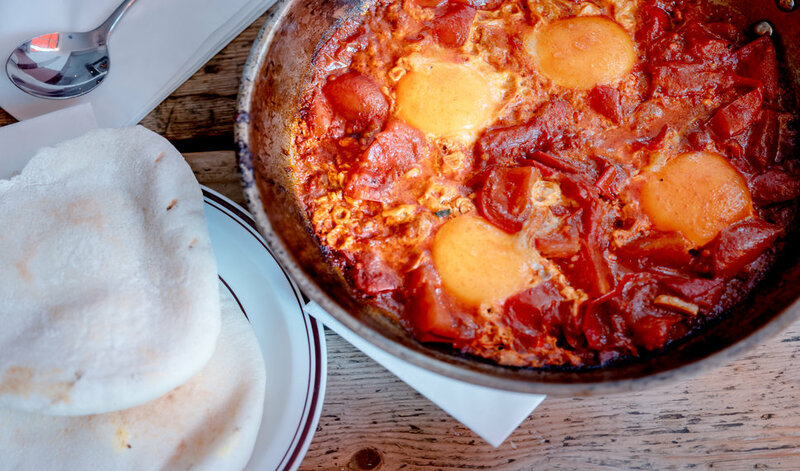 Spicy shakshuka was a real winner from their menu packed with punchy flavours that excited the palate and it is a dish that is extremely easy to overcook, but their version was expertly executed. It worked extremely well with their homemade pita bread to help soak up all the flavoursome sauce. If you are looking for something more substantial, you could do a lot worse than ordering the chicken pargit with labneh and tomato seeds. 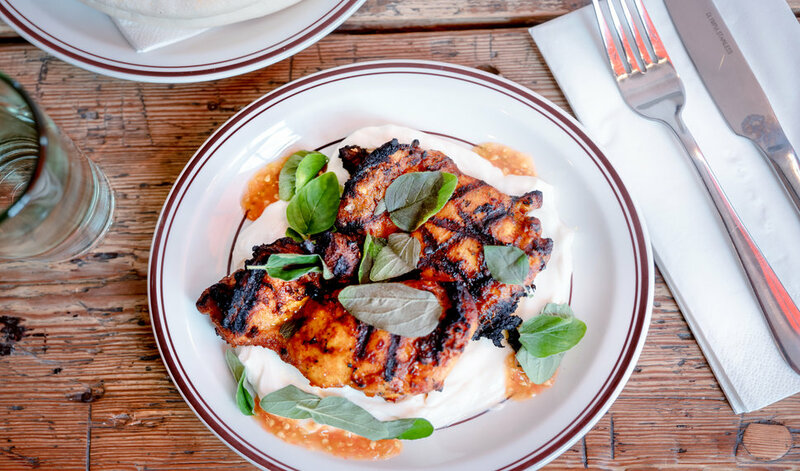 Pargit means young/spring chicken and the meat was extremely tender yet the dish had an inviting smoky, charred taste from the grilling. If you have any room left, they do have desserts such as rice pudding and a tempting sounding, tahini ice cream with caramel sauce.